I am here to give my review of C300s newest bowling ball, Chaos. 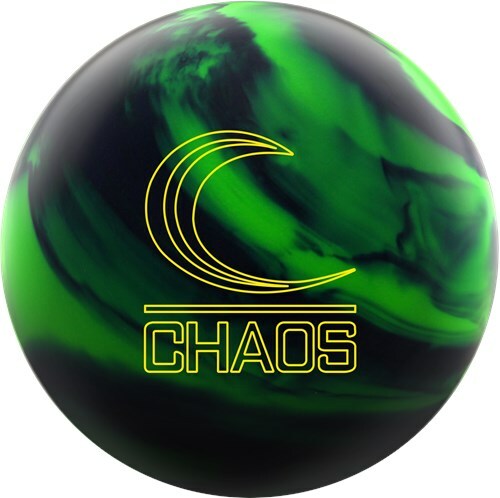 My first thought was between the color combination and name, I could not wait to hit the lanes with the Chaos. I have used it on several typical THS, and here is my assessment of the Chaos. It is a smooth symmetrical ball that reads the mid lane great and smooth, yet strong down the lane motion. The green/smoke color combo gives it both great shelf and on the lane appeal. It has a 500/2000 finish, I personally changed it to 4000 due to the slightly drier conditions I encounter more often than not. My layout is the pin in between my fingers (pin up), CG kicked a slight bit left of my pin. The original Chaos is one of my top 10 favorites ever, and this one does not disappoint. The Chaos is available on Tuesday, 1/19/19, do not miss out, you will DEFINITELY not be disappointed. The C300 Chaos actually brings the name to the table. I drilled mine with a favorite pin-up layout of 60x5.5x40. This is a layout I like to use when trying to be straighter but have the amazing hard continuous motion through the pins still. Back to the chaos, this ball is super super smooth, it really allows you to strike when you have to open up the lane or even keep your angles closed. I don't see a lot of motion in the front part of the lane but a good amount in the back which when the energy transfers it goes through the pins like a truck. I recommend this ball to all players in leagues and or tournament, if you like to play straighter with closed angles this is the ball for you! Don't wait...go out and create some chaos today!!!! Likes: Drilled up the Chaos a few days ago and have only been able to get a few house shot games on it so far. From what I can see it covers a lot of lane. It is as big as my Savage but being symmetric has a smoother overall shape. They compliment each other well. Mine picks up early but keeps its shape through the pins for great carry potential. Low rev players should like this to open up the lanes and this will be a great tournament ball for the high speed, high rev guys when there is a lot of oil volume. I like the look of the solid green and black as well.